Few people are in better shape than Ernestine Shepherd. Named the world's oldest female bodybuilder by the Guinness Book of World Records, Shepherd is up at 3 a.m. every day to lift weights, run, and do a cardio workout. She's also a personal trainer, professional model, and author. 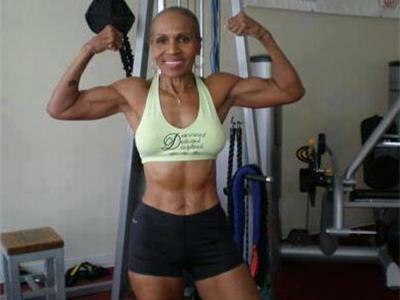 The 75-year-old definitely proves that when it comes to your health, age is just a number! JOIN US as we listen to Ms. Ernestine share her journey into the world of fitness and how she stay's motivated.